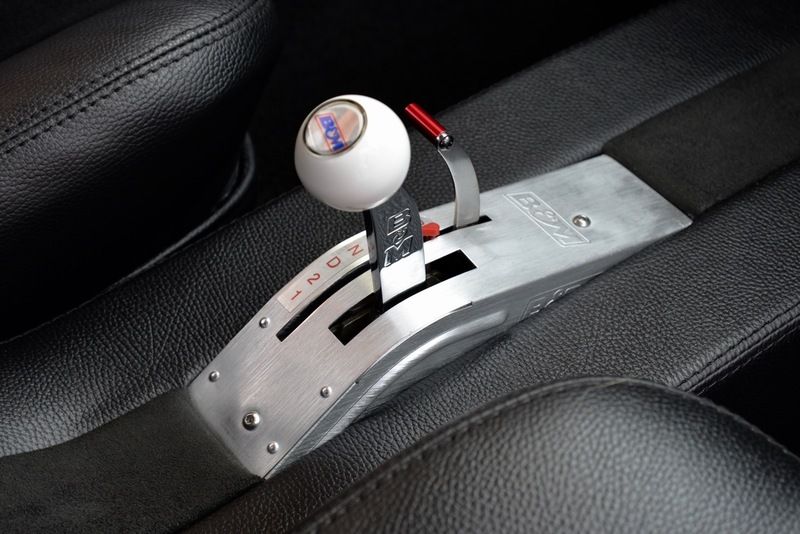 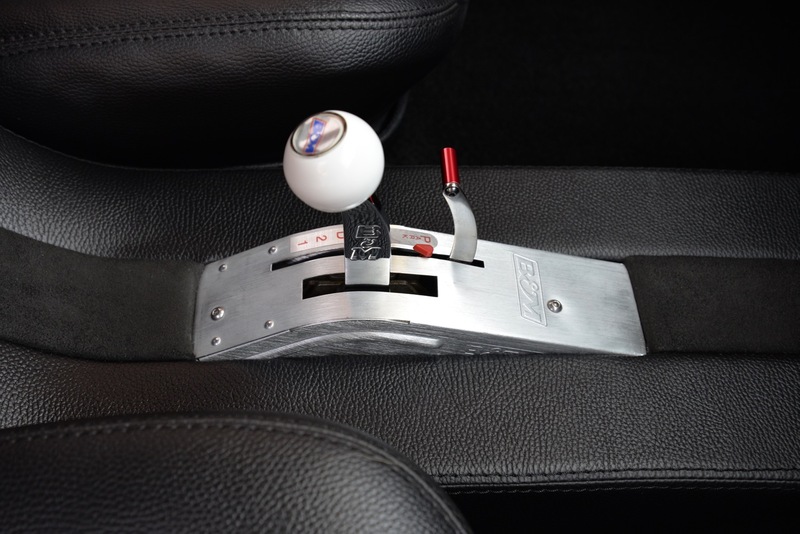 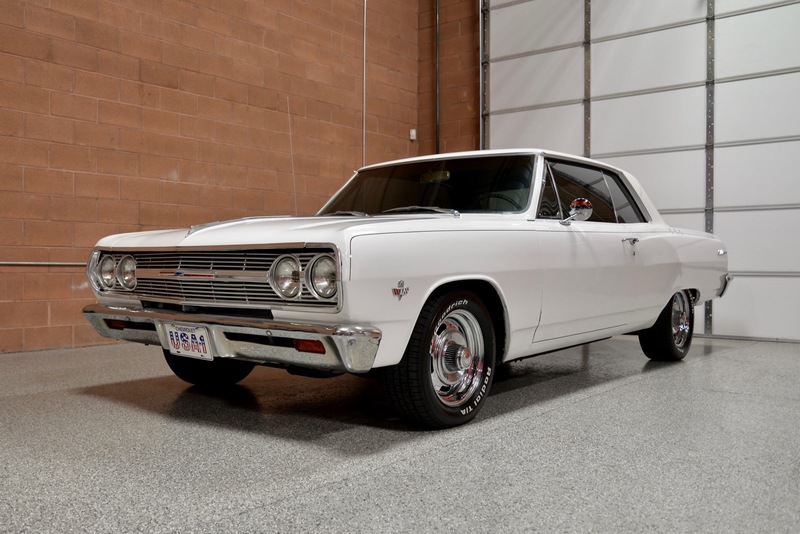 Are you searching for an iconic American muscle car that is factory stock in appearance, one that won’t break the bank, but also one that will leave 95% of the six-figure vintage muscle cars out there in the dust? 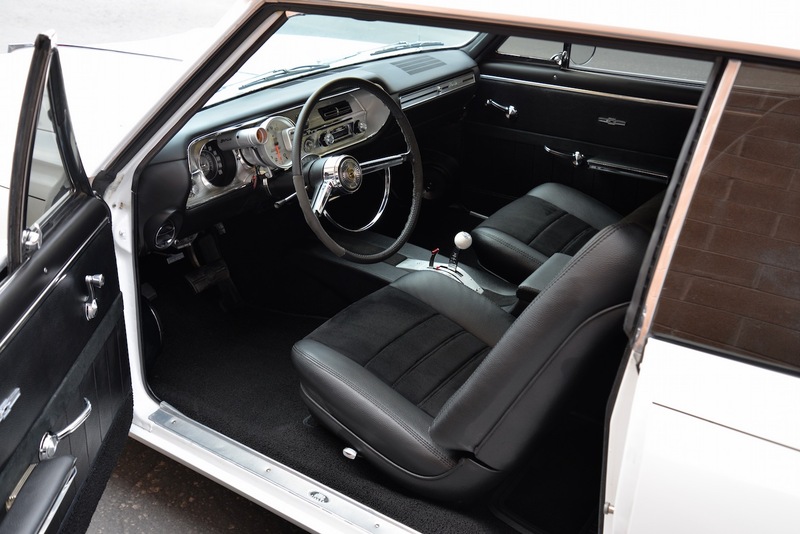 Well I believe I’ve got your car. 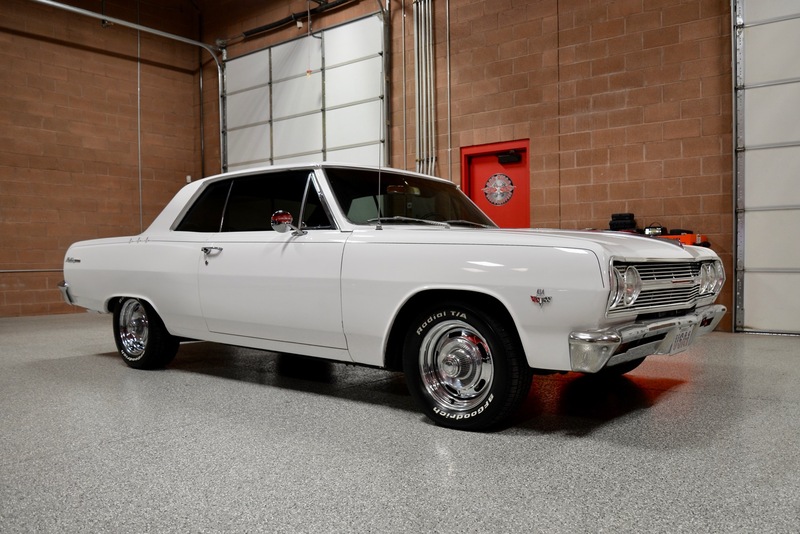 ‘Red Hills Rods & Classics’ is happy to offer you this gorgeous 1965 Chevrolet Chevelle, a mildly customized street machine w/ big-block Chevy power that is certain to impress even the staunchest gear-heads out there. 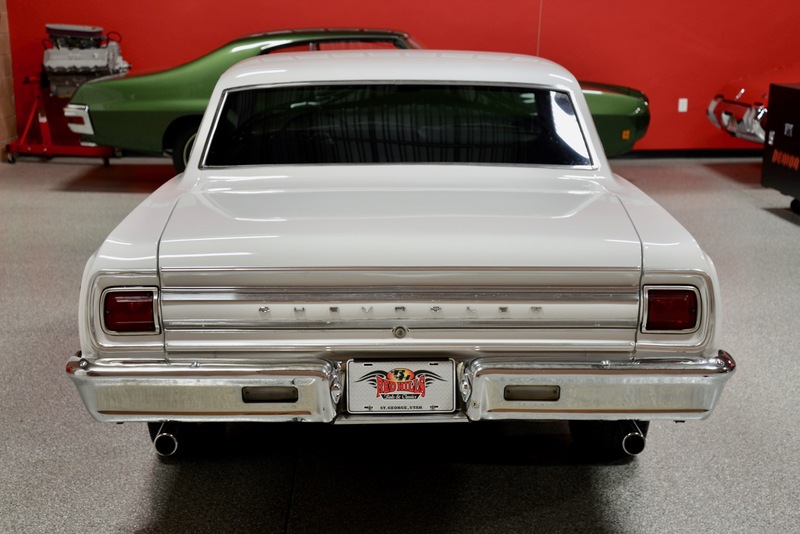 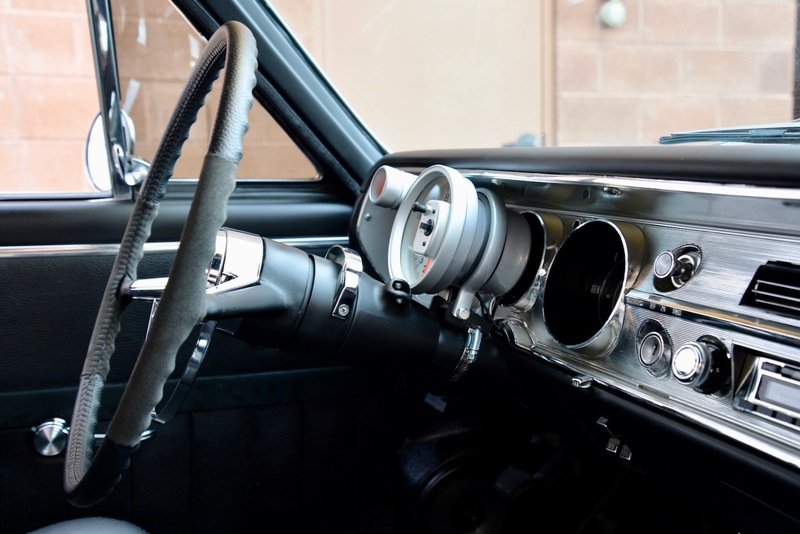 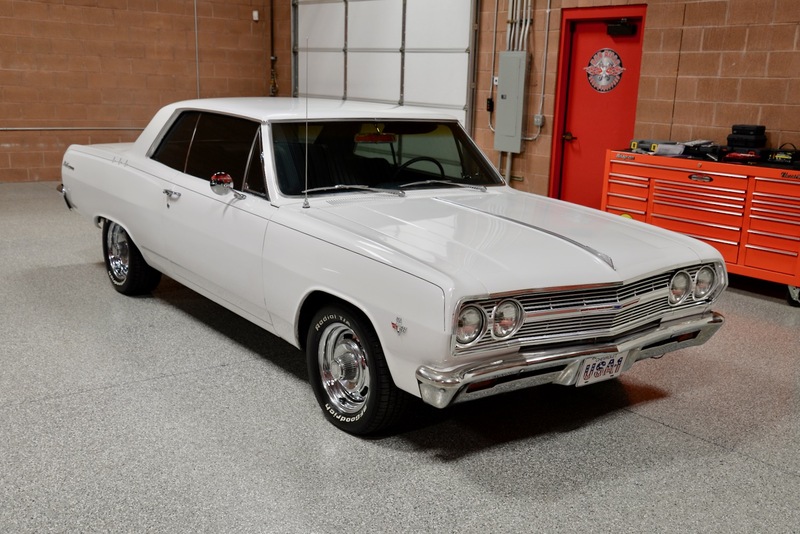 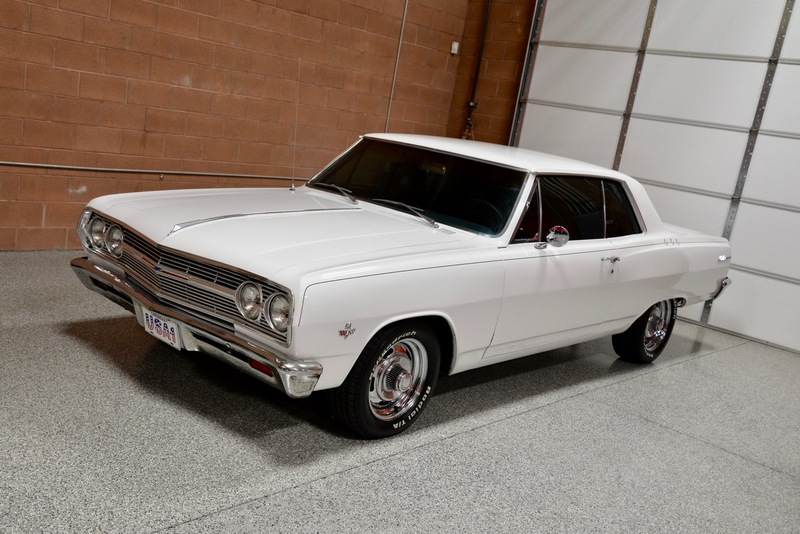 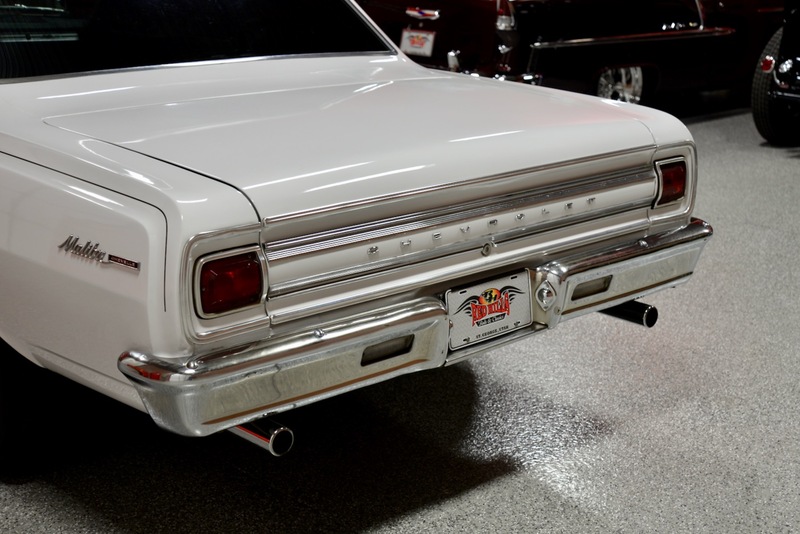 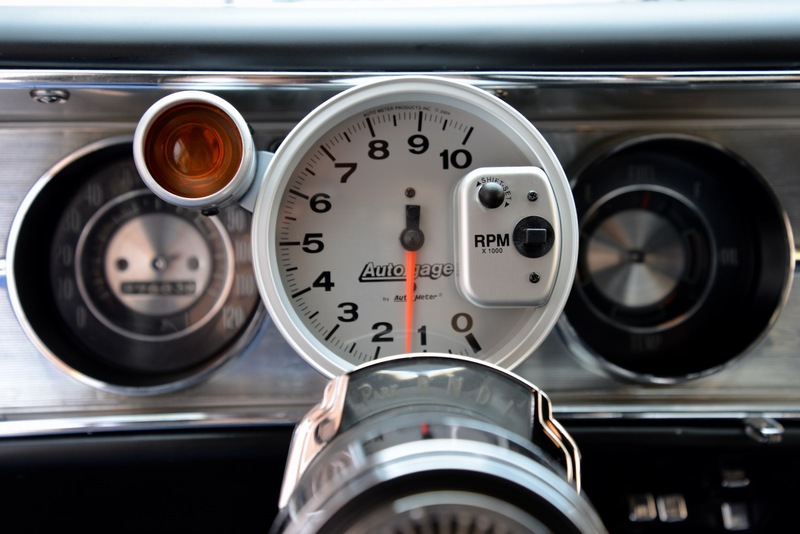 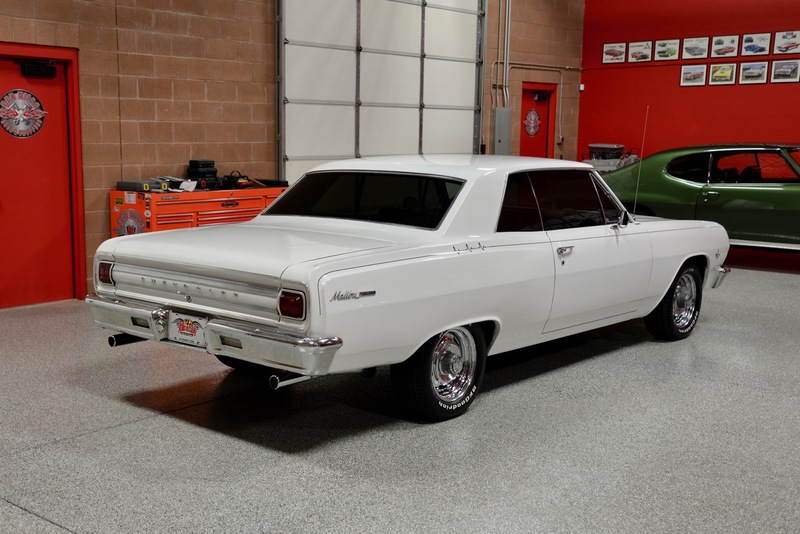 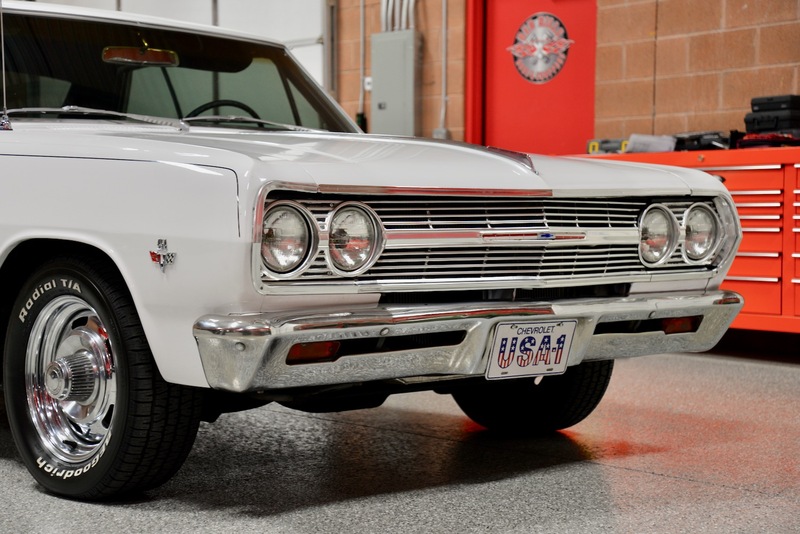 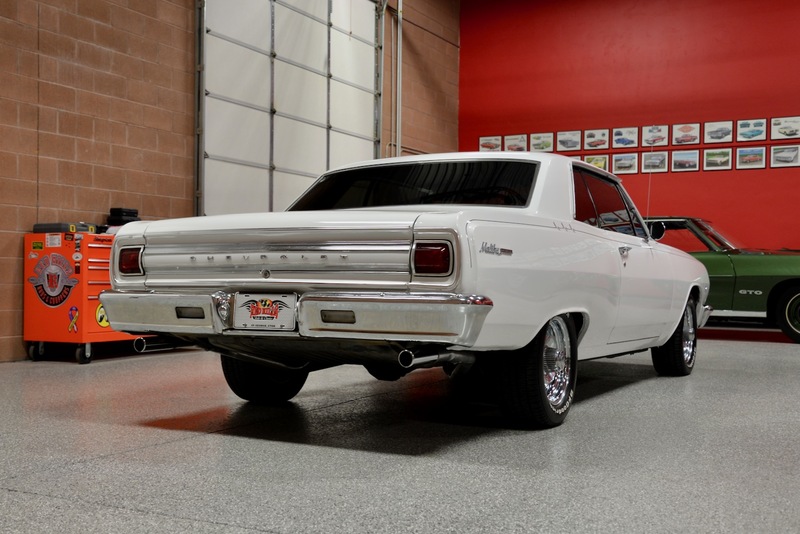 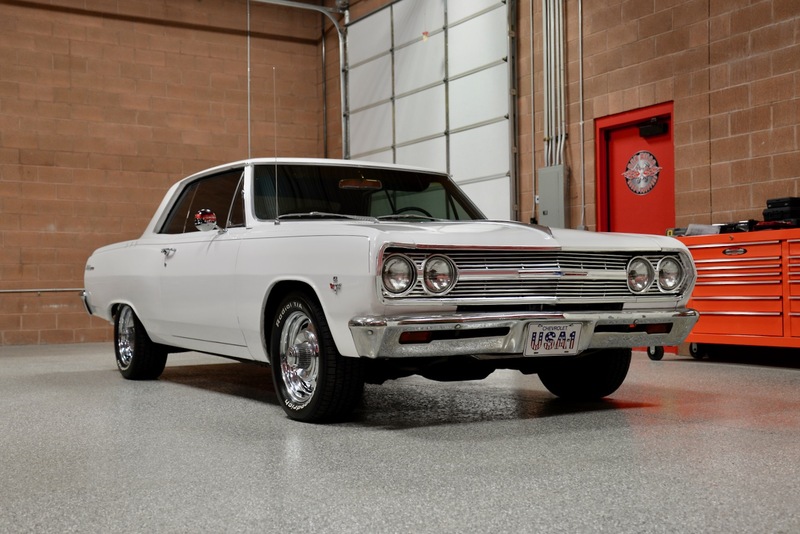 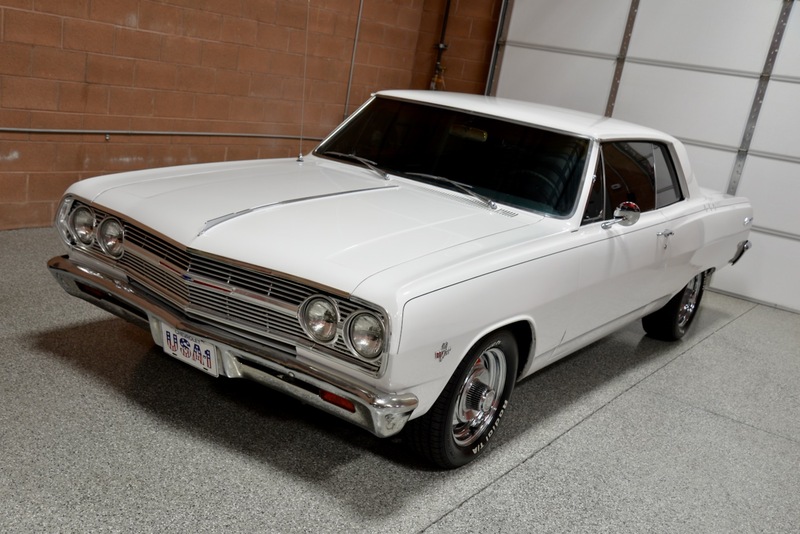 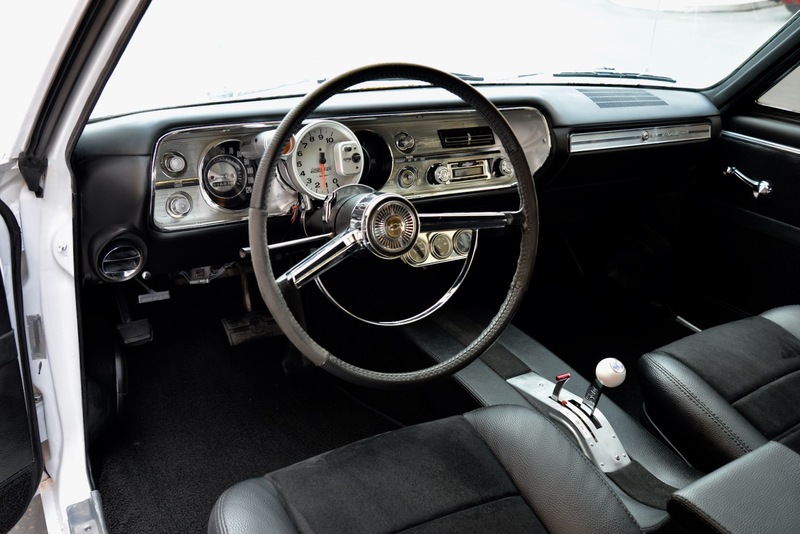 Originally from Farmington, New Mexico, this beautiful ’65 Chevrolet Chevelle was recently restored in its factory correct (Code C) Ermine White, and was built to drive & enjoy to the absolute fullest. 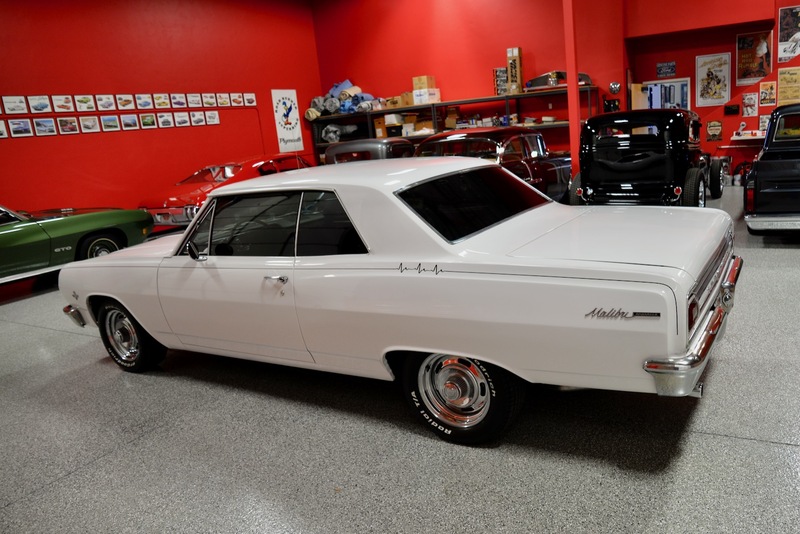 All of the original body panels are super straight all of the way around the car, and the Ermine White paint w/ black pinstripes looks absolutely fantastic. 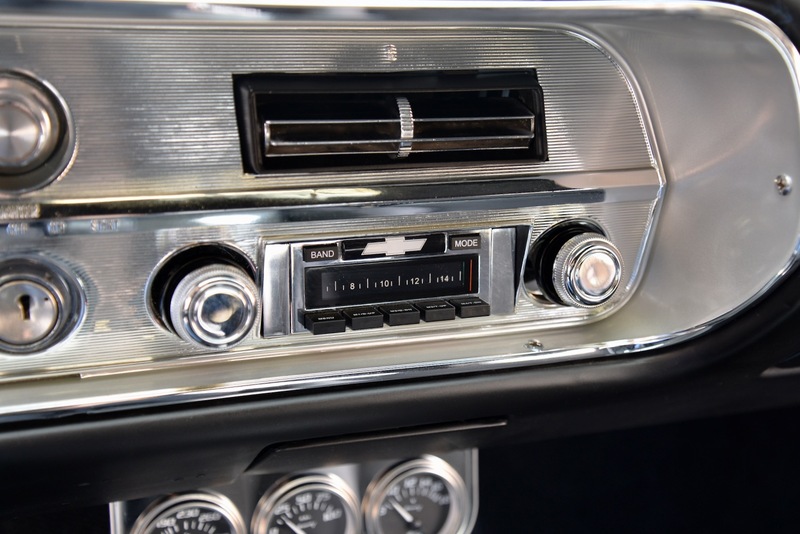 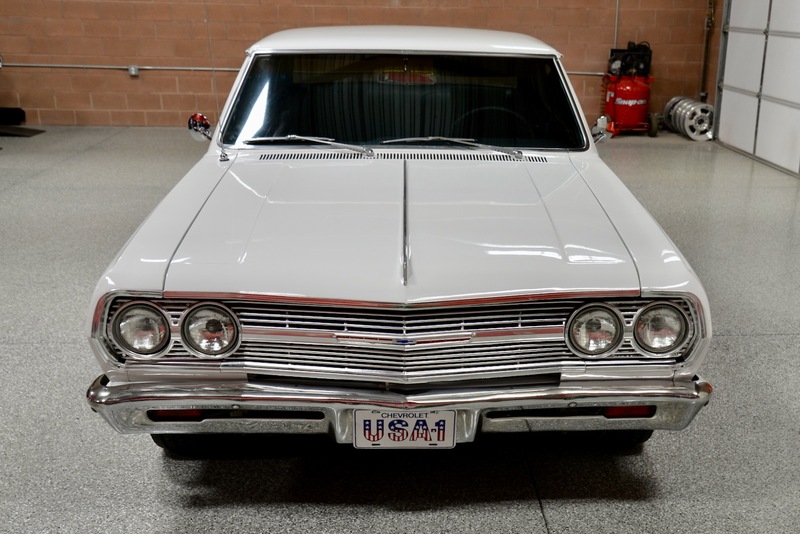 All of the chrome & stainless trim appear to be original to the car and are in excellent condition throughout. 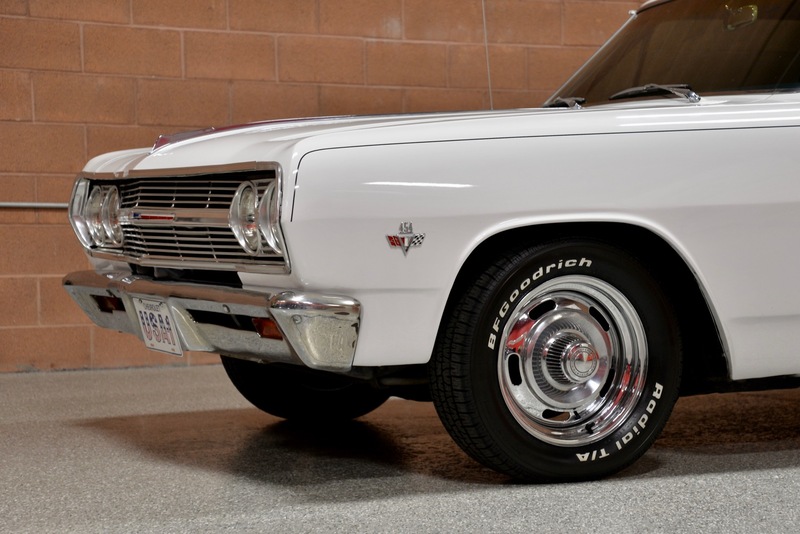 She sits on original 15” Rallye wheels wrapped w/ BF Goodrich radial tires (P225/60R15 on the rear & P215/60R15 up front). 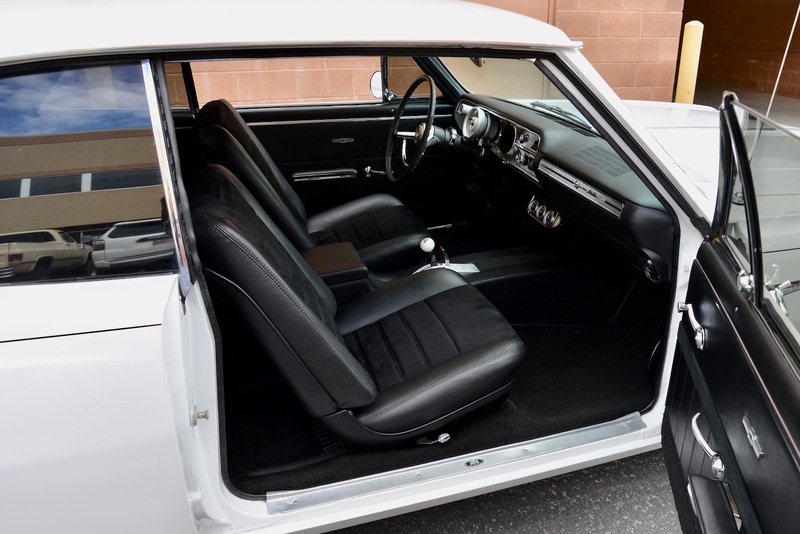 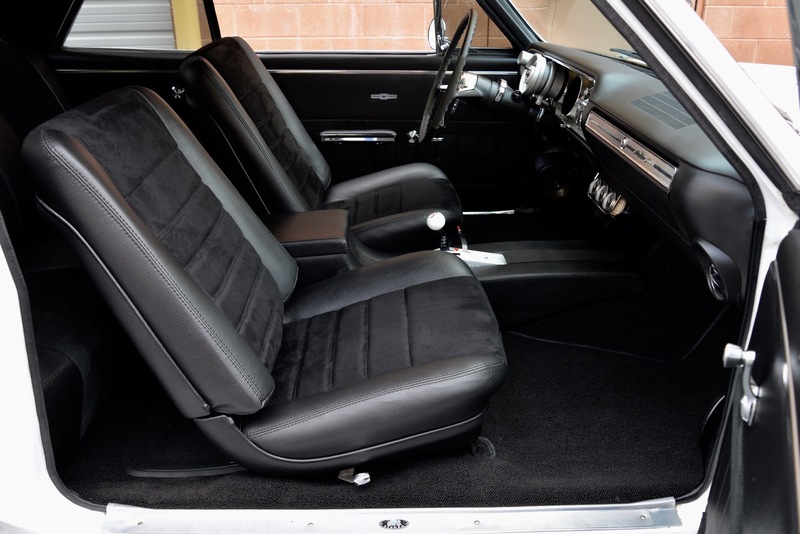 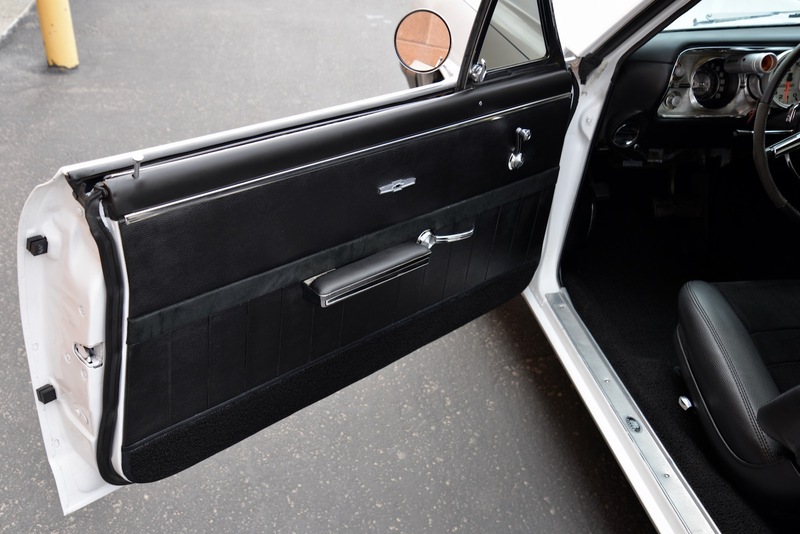 Open the driver’s door and you will see that the original (Code 739) medium blue interior was replaced during the restoration w/ a custom black Beluga vinyl & faux black suede interior, which looks absolutely amazing on this car. 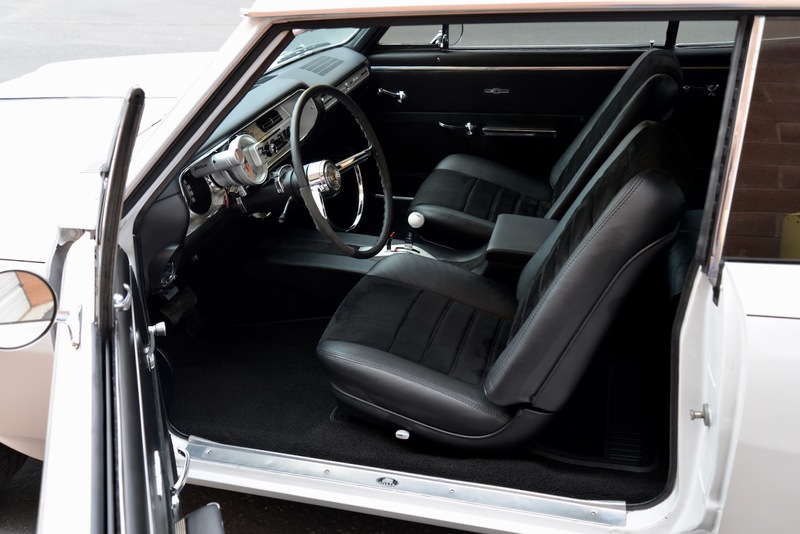 Interior features include: black Beluga vinyl & faux black suede bucket seats w/ full custom console, matching door panels & kick panels, faux black suede headliner, black loop carpeting throughout, B&M Pro-Ratchet shifter, column-mounted Auto Gage tachometer, set of under-dash Iequus gauges, in-dash factory style digital AM/FM radio, and a Custom Autosound Slim CD/CD-R/CD-RW/DVD Audio/WMA/MP3 player in the glove box w/ (4) Kenwood speakers. 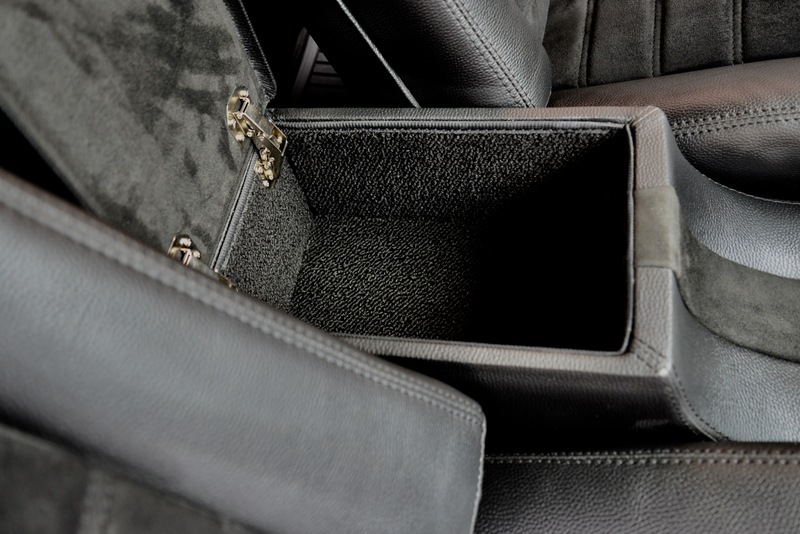 The trunk area is completely finished in matching black Beluga vinyl & faux black suede, which ties into the interior perfectly. 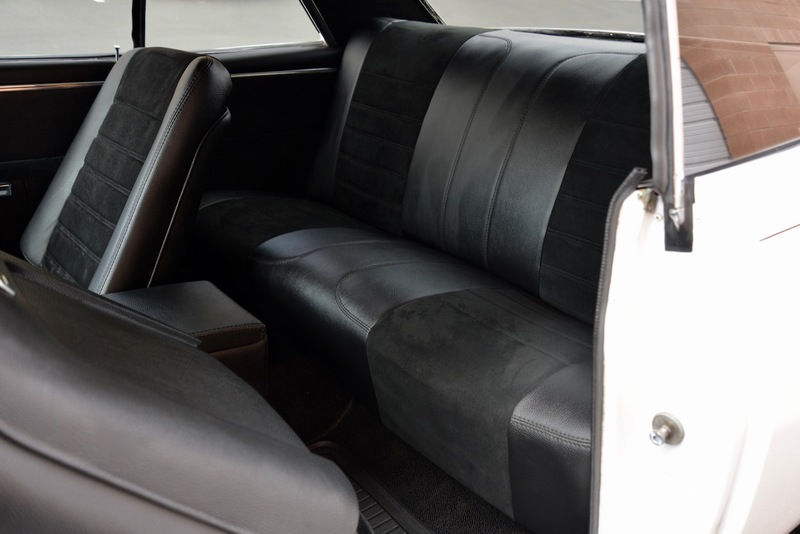 This custom interior is extremely comfortable, highly functional in every way, and simply looks outstanding. 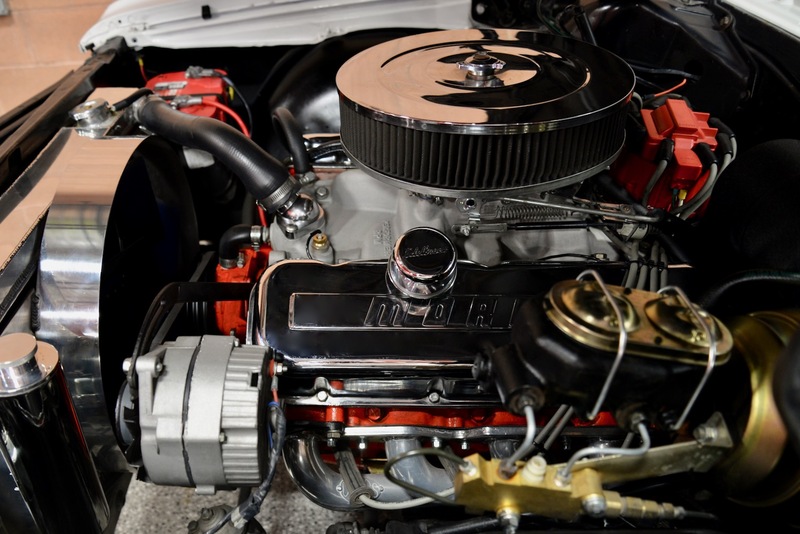 Now, let’s get to the heart of this beast, shall we? 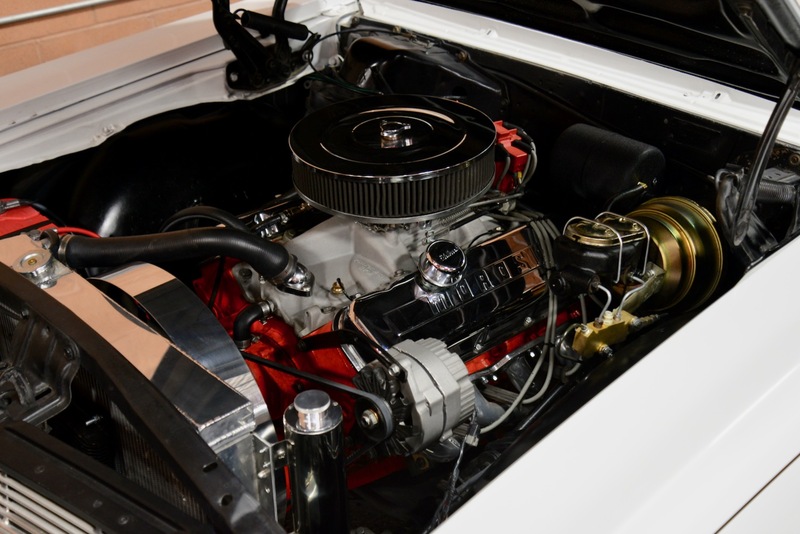 Pop open the hood and you will find a completely rebuilt 454ci big-block Chevy motor featuring: Edelbrock Performer intake manifold, Holley Quick-Fuel 850cfm carburetor, chrome Moroso valve covers, Dougs headers, chrome air-cleaner assembly w/ K&N filter, custom aluminum radiator w/ billet reservoir bottle, and on & on. 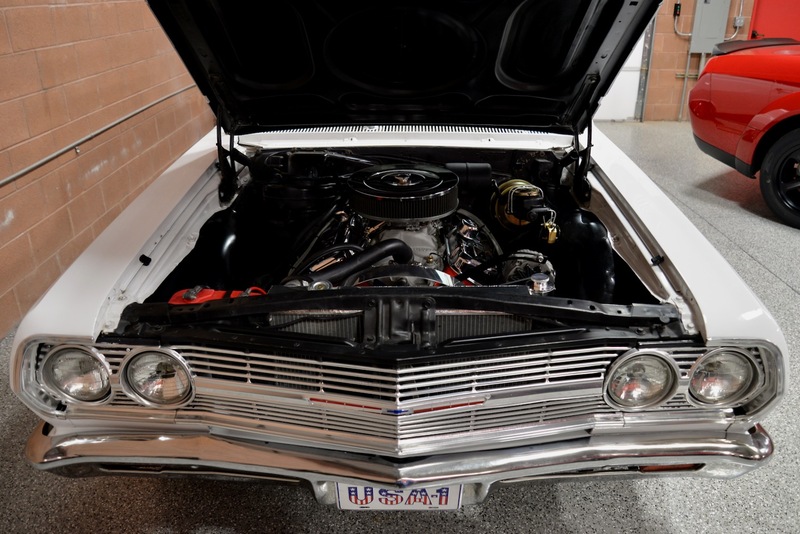 The motor was not dyno tested at the time of the rebuild, but after test driving the car I will guess that she is pushing well north of 500 HP! 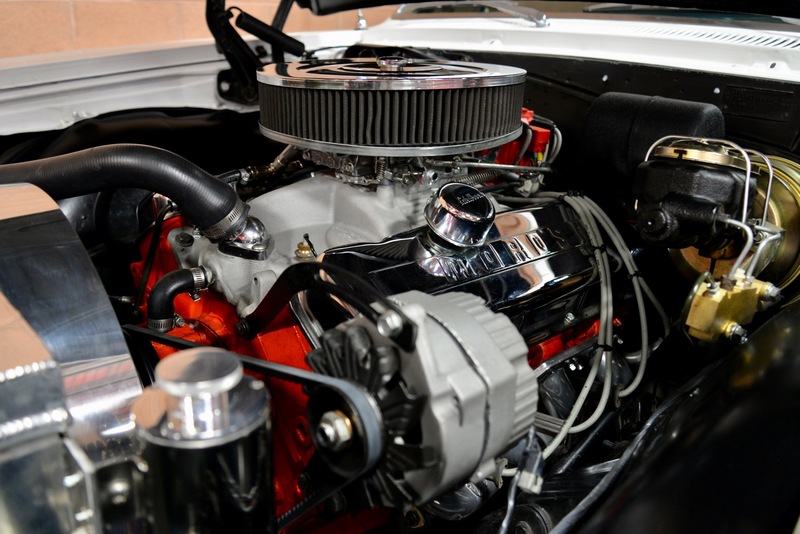 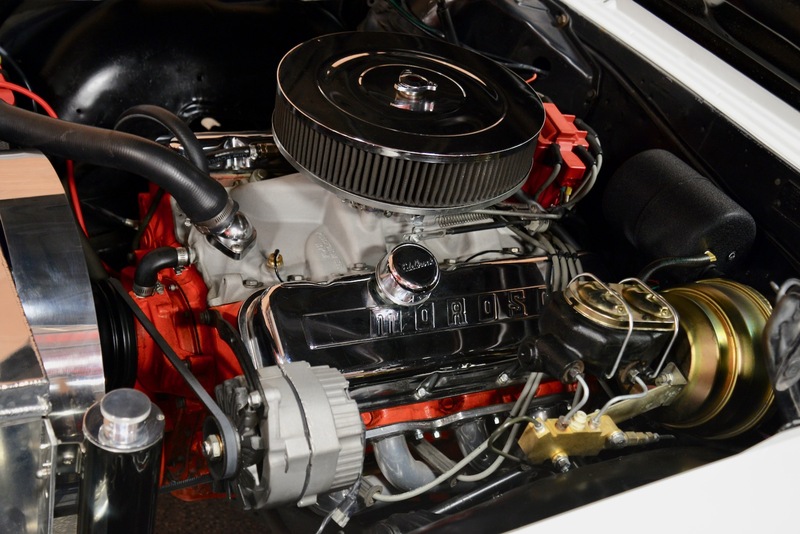 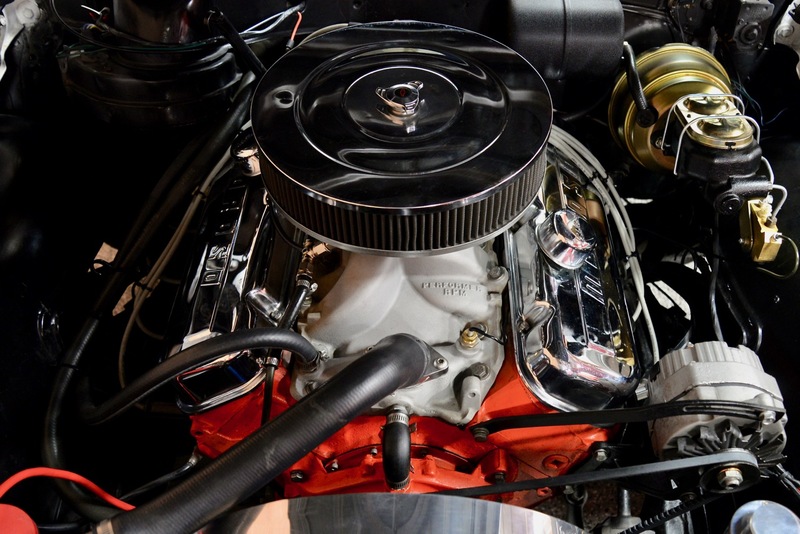 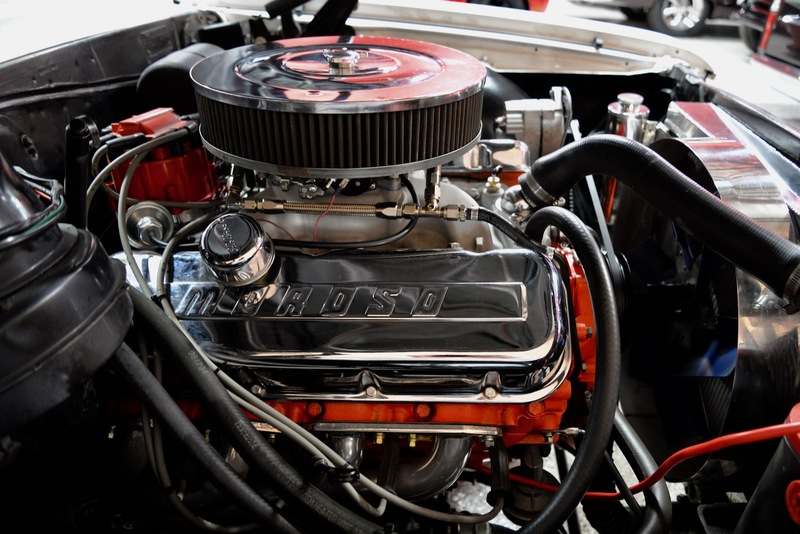 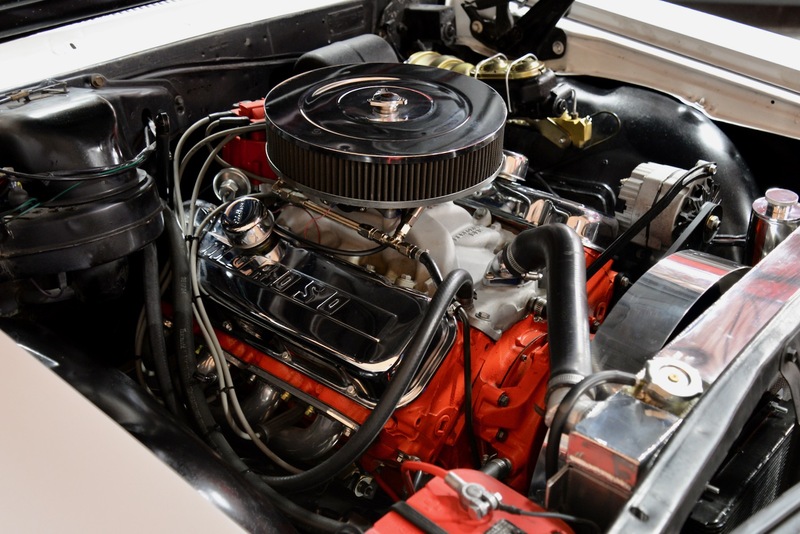 The big-block 454ci motor is linked to a completely rebuilt TH350 automatic transmission, which feeds power to the original asphalt shredding 12-bolt rear-end w/ 3.73 gears. 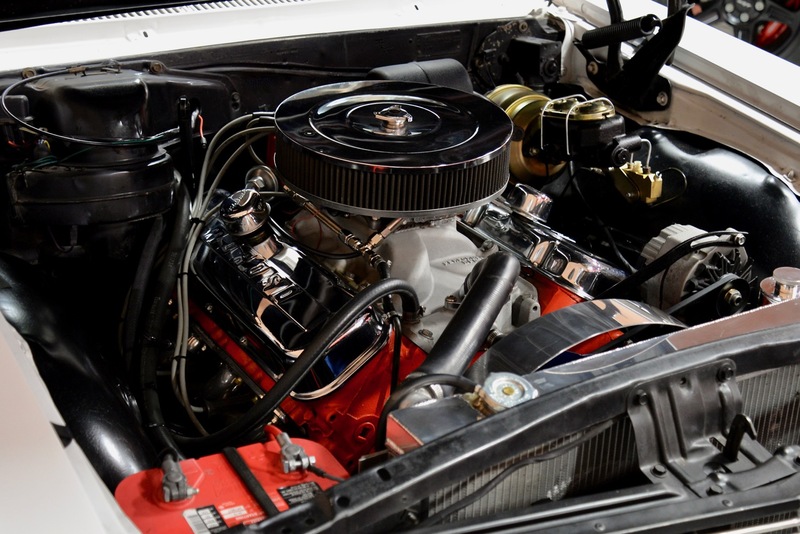 This is a mean machine folks, and I was completely blown away by the sheer power & torque that this motor delivers! 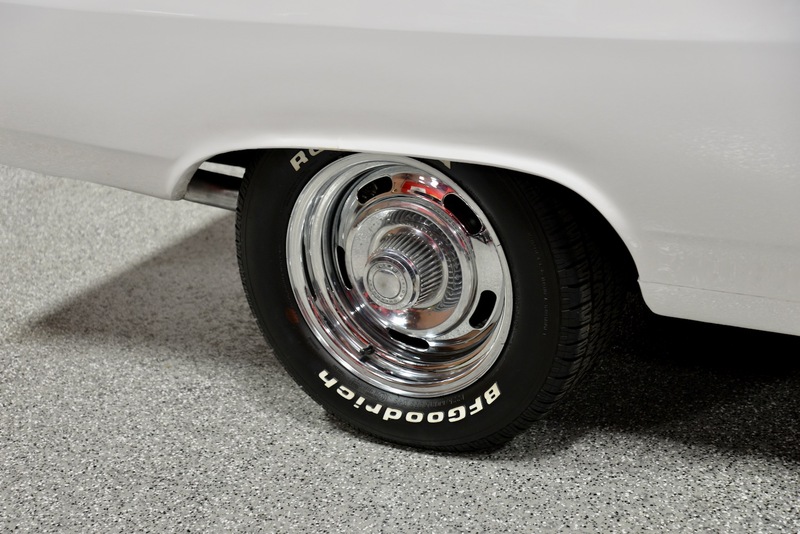 The power front disc brakes stop her in a hurry once she gets going. 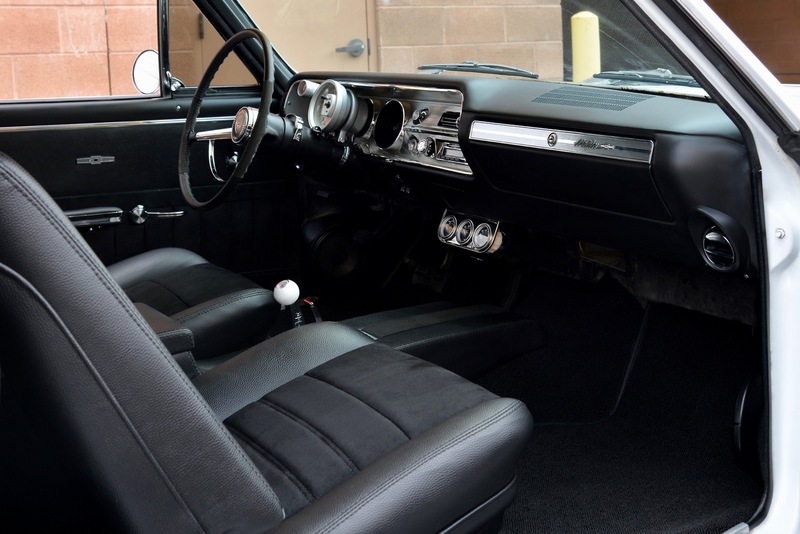 It is an absolute BLAST to drive and gets an amazing amount of attention anywhere you take her. 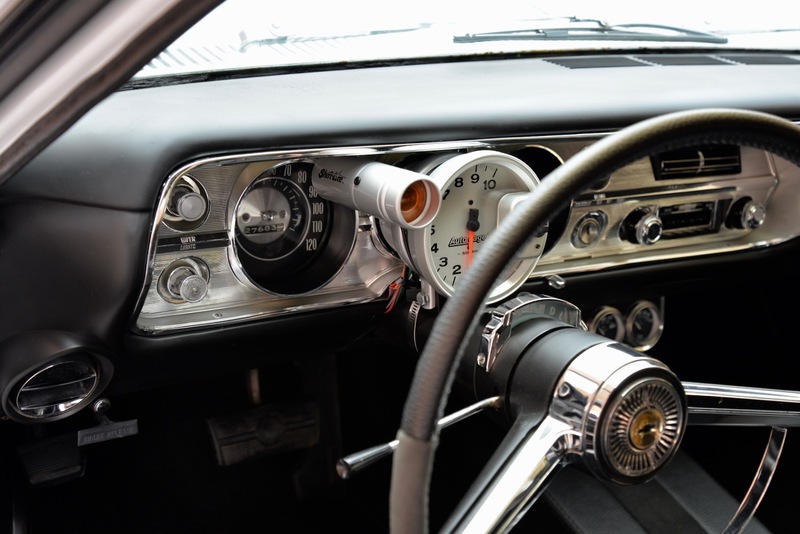 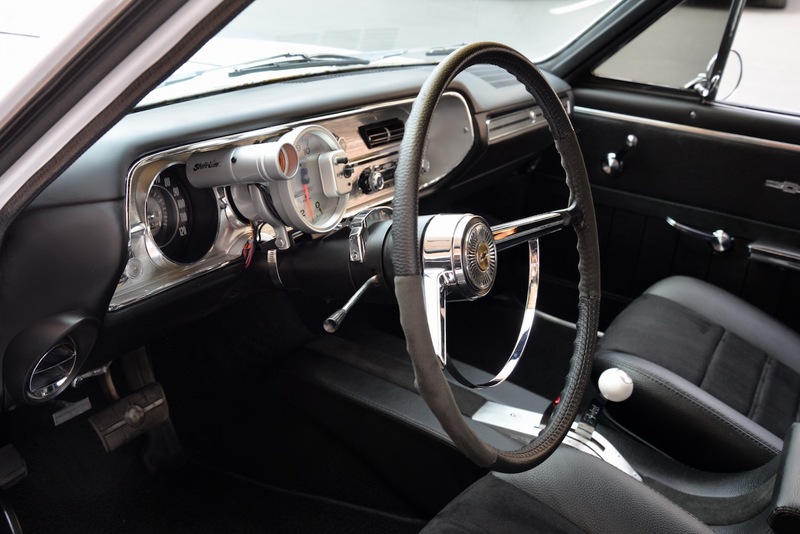 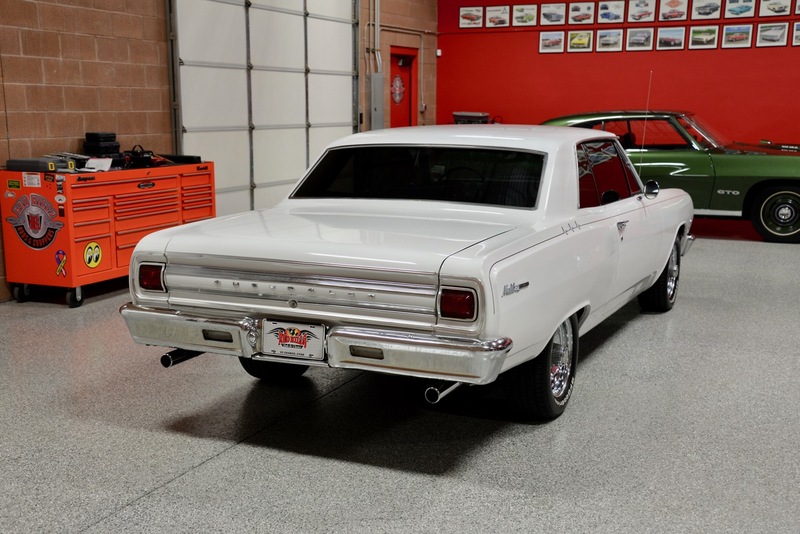 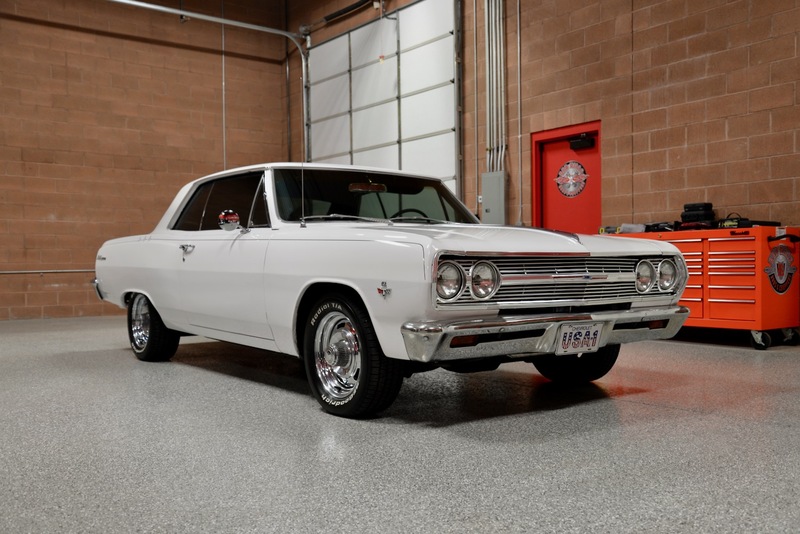 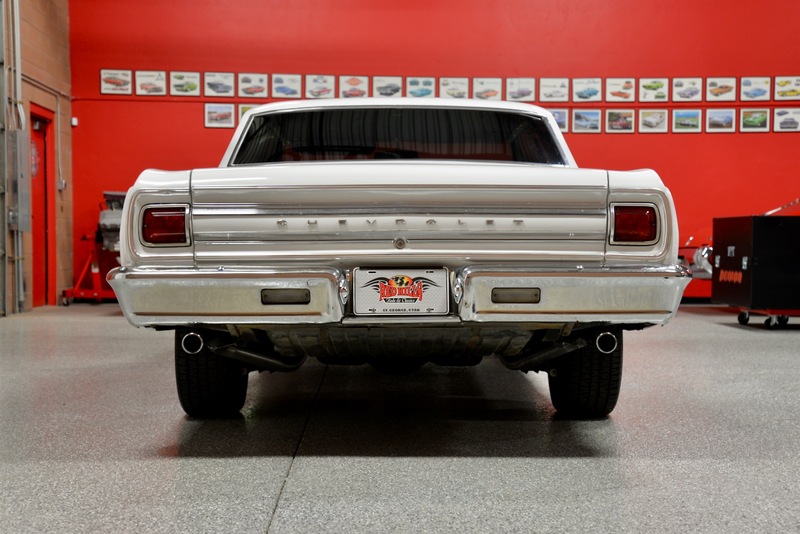 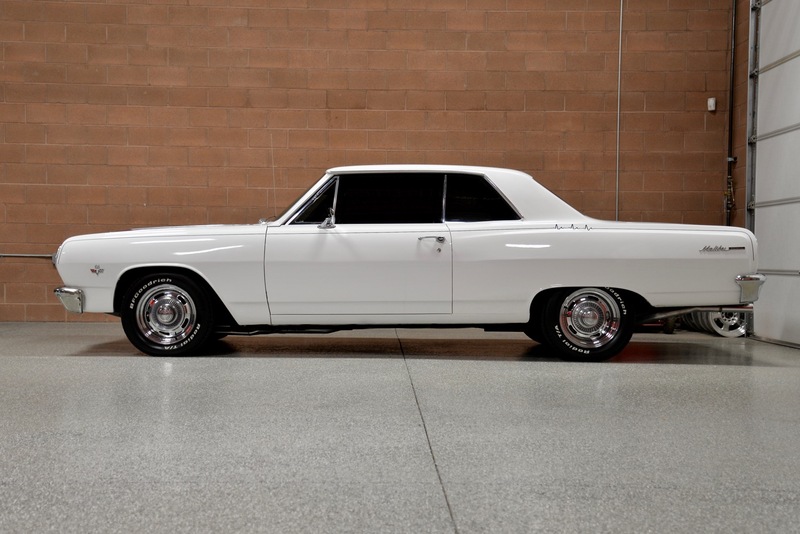 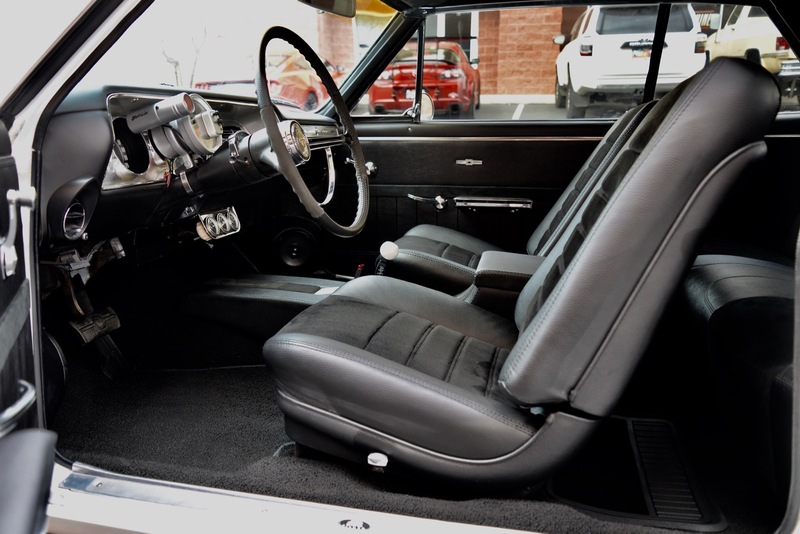 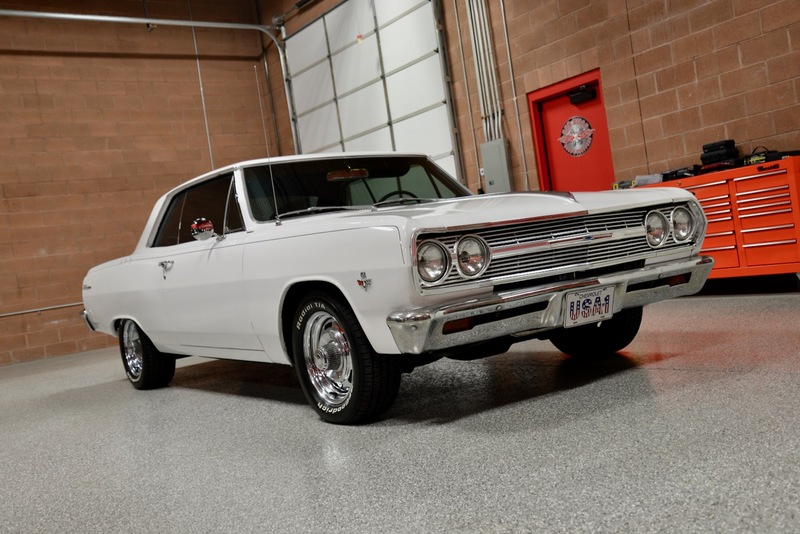 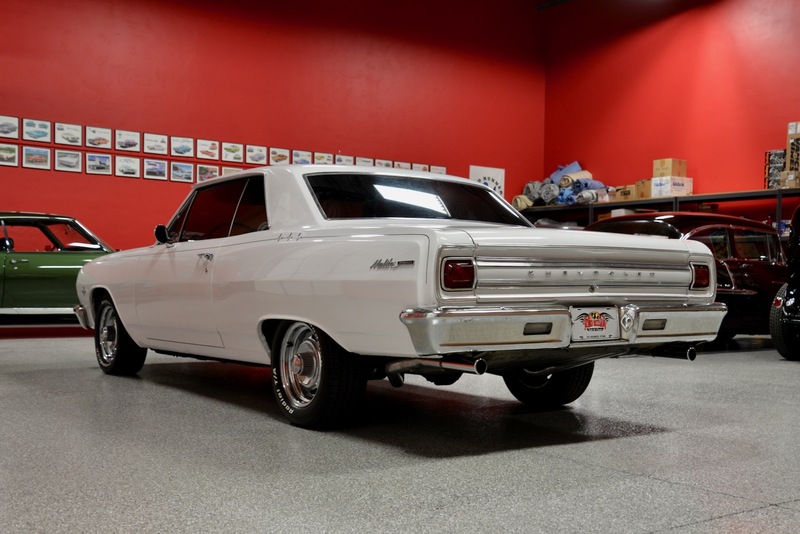 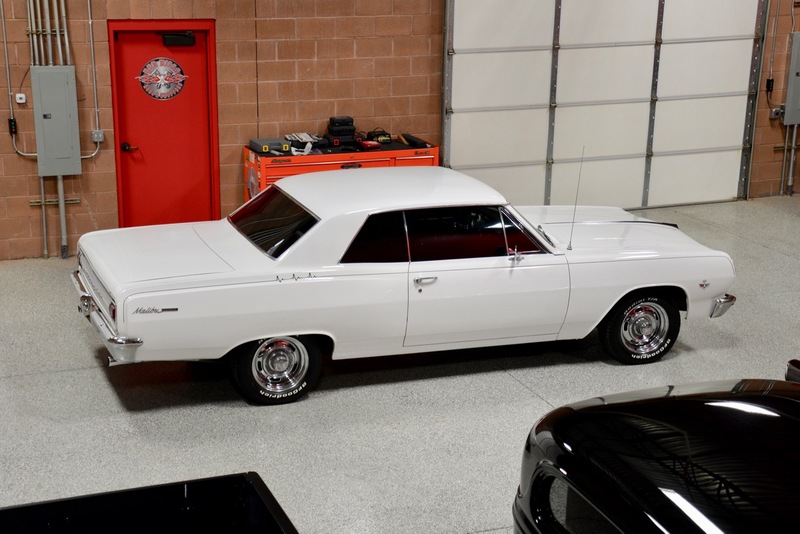 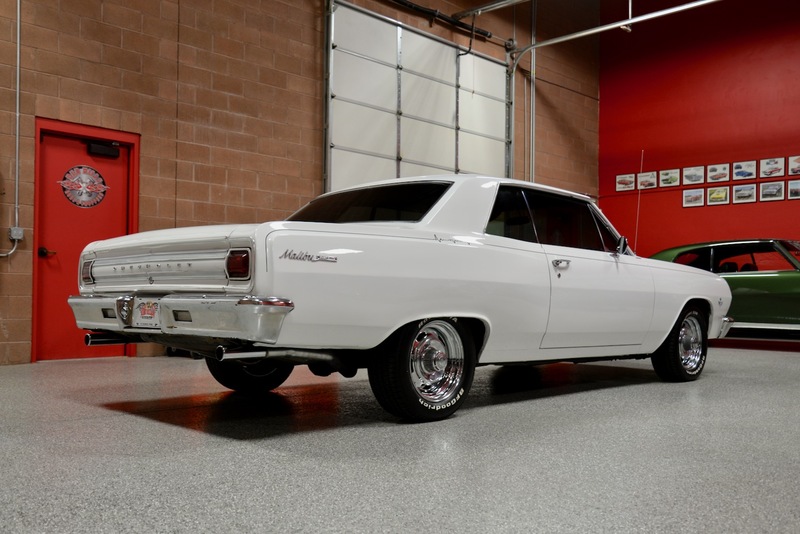 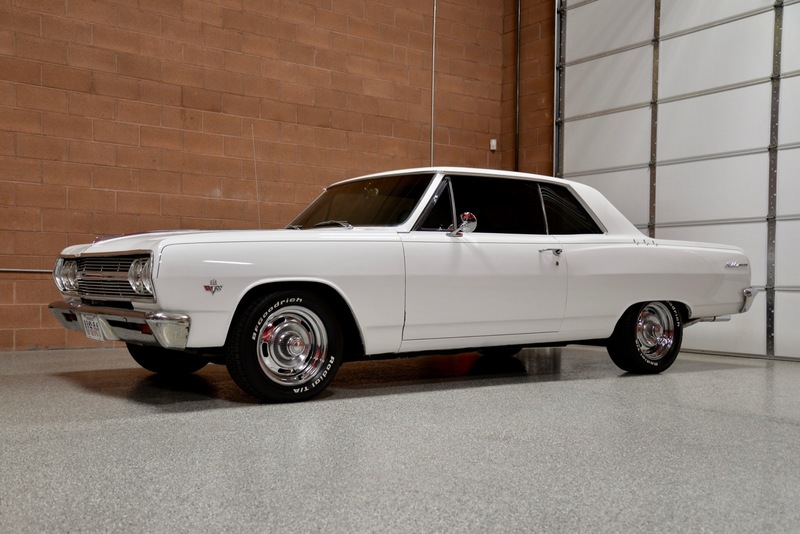 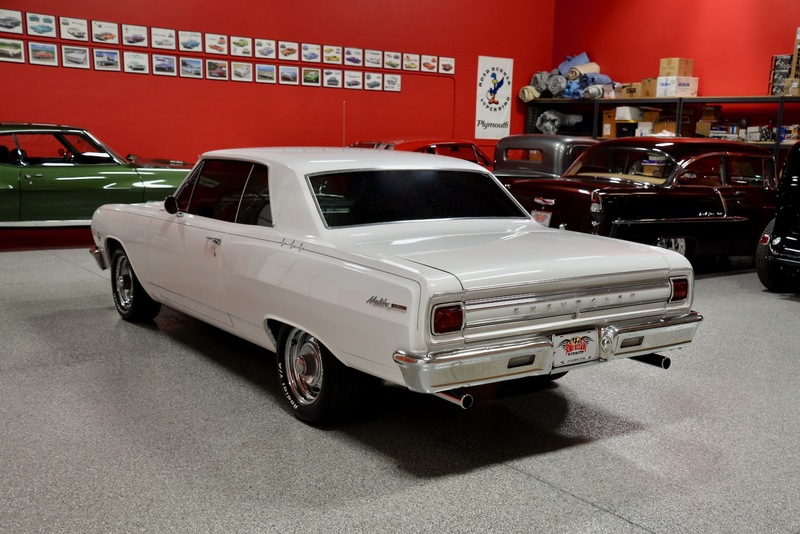 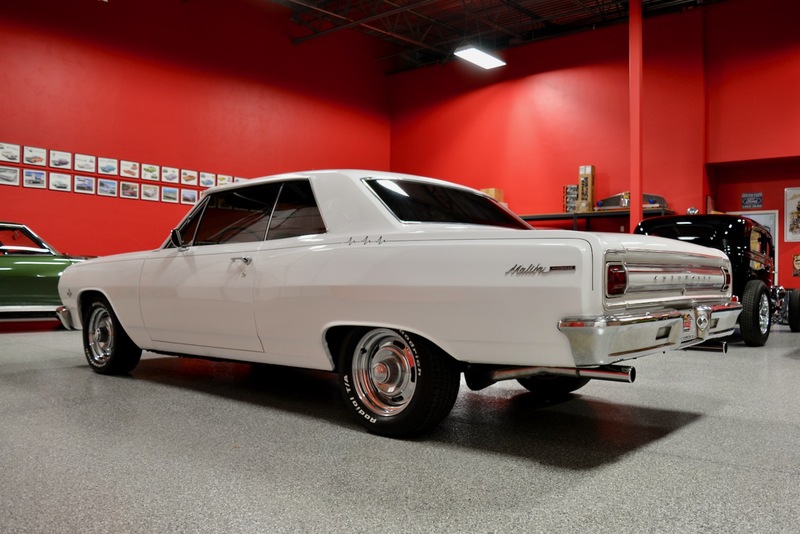 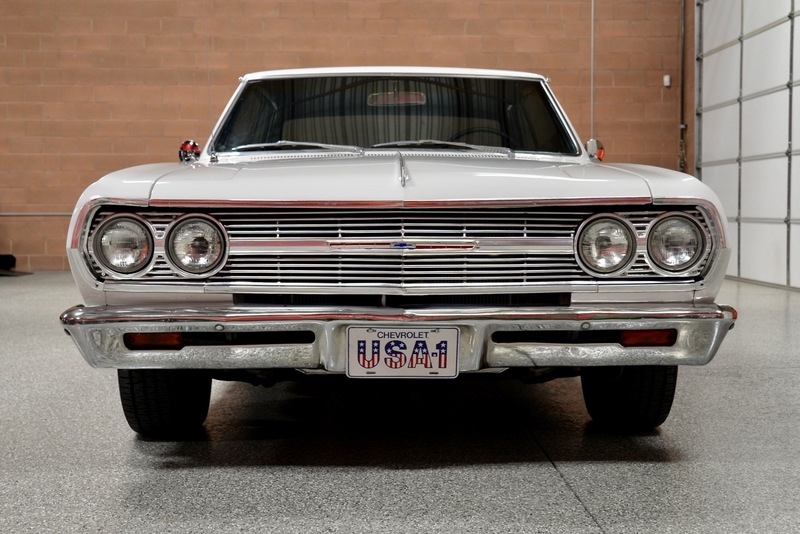 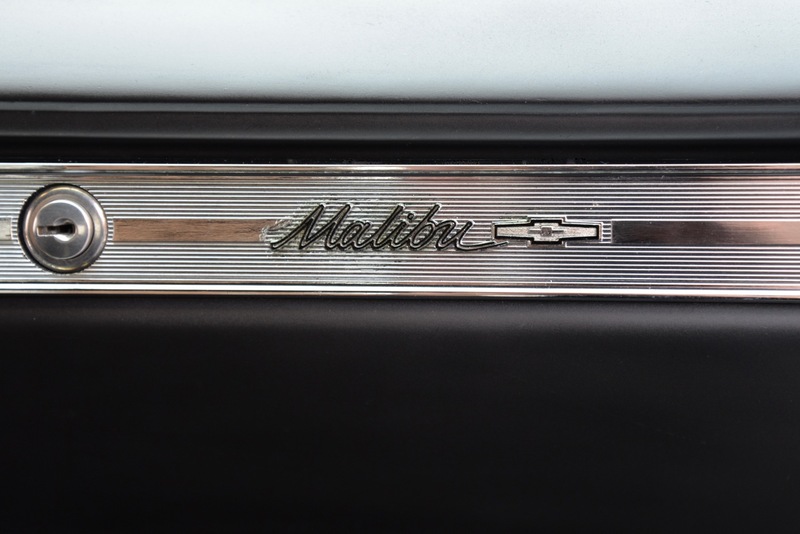 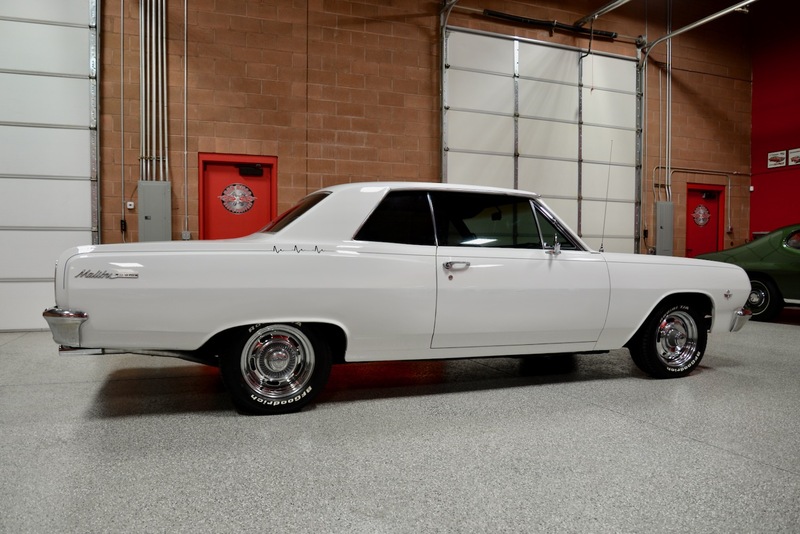 Again, if you are looking for a classic muscle car that will blow away the competition but won’t break your bank account, you should take a very close look at this beautiful 1965 Chevrolet Malibu Custom.